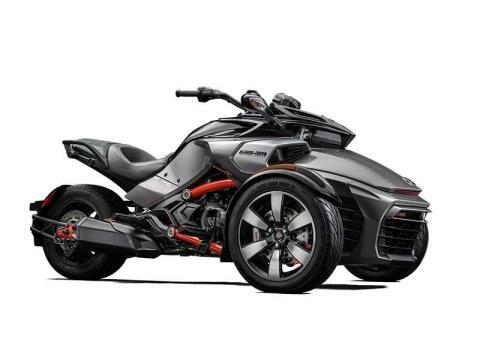 The cruising riding position of the Spyder F3-S – customized just for you with the new UFit System – enables you to sit back and confidently take in the scenery...or the stares from onlookers. They'll look extra long at the machined deep black high gloss front wheels, red accents and added fender lighting. And with its Rotax 1330 ACE engine, Y-frame design and seven automotive technologies, you can count on a thrilling and confident ride.